The Early Intervention program provides additional assistance for students. A trained literacy teacher works with individual children or small groups to deliver an explicit, needs-based program. 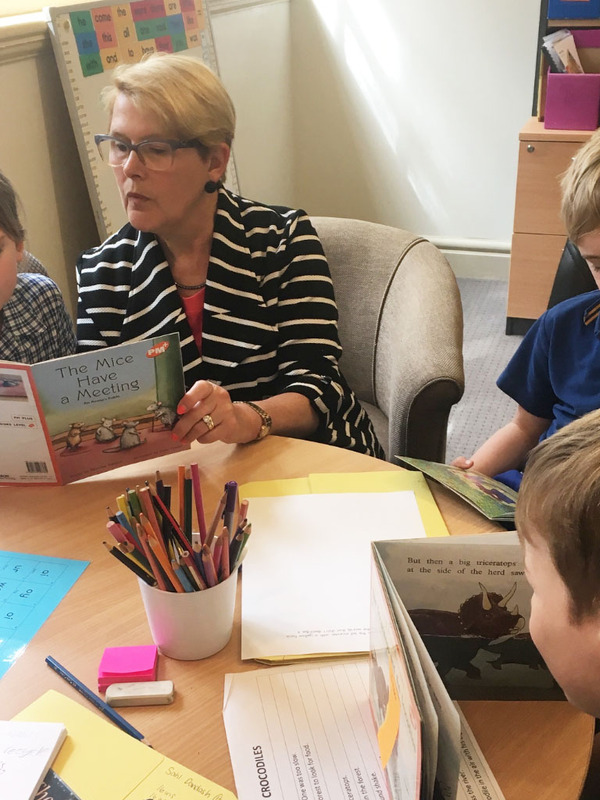 The provision of a separate literacy support room ensures that students are able to master new skills in a structured and quiet environment. Resources are varied with a wide range of books, software and games designed to address individual student needs and interests. The literacy support teacher works primarily with Foundation to Year 2 students, implementing Reading Recovery approaches and providing them with regular in addition to their classroom program. Reading, writing, speaking and listening are taught explicitly. Emphasis is placed on the student developing strategies for effective, independent learning. Attention is also given to developing phonemic awareness and spelling skills. The Early Intervention teacher consults with class teachers to provide feedback about student progress and advice about future learning strategies. They also assist in assessing the point of need for all newly enrolled students.